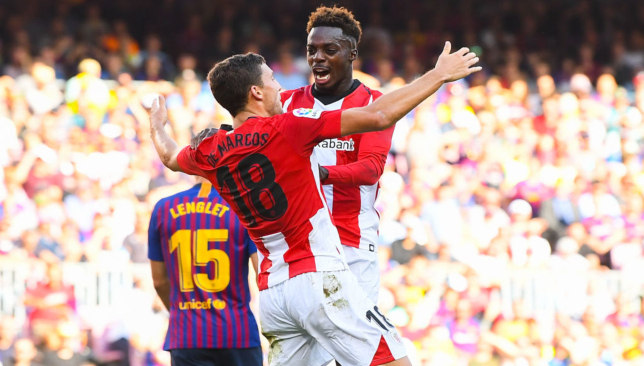 Barcelona moved six points clear at the top of La Liga with a hard-fought goalless draw against impressive Athletic Bilbao at San Mames on Sunday night. Both teams can be fairly satisfied with the result after Barca controlled the majority of the possession, but the home team carved out the better chances. And the fact that the league leaders kept a clean sheet was largely thanks to one man – whose contribution is the first of our talking points to emerge from the action. 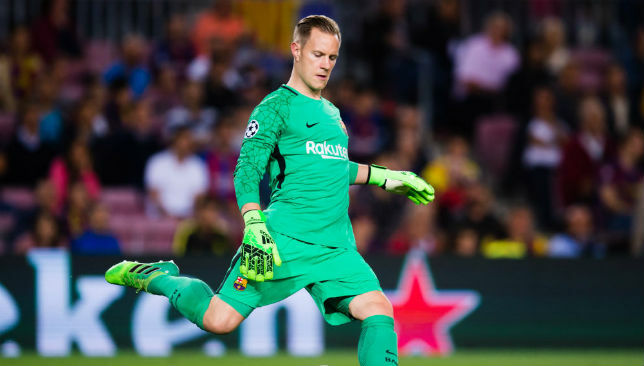 Spectacular saves from Marc-Andre ter Stegen have become par for the course during the German keeper’s four years between the posts for Barca, and he added another couple of remarkable stops to the collection on Sunday night. His first major intervention didn’t take long to arrive, as Athletic winger Markel Susaeta cut inside from the right and reached the edge of the box before curling a well-struck left-footed shot, which appeared destined for the top corner before Ter Stegen leapt with great agility and flung out his right hand to tip the ball over the bar. But he made an even better save inside the final ten minutes. Powerful home team striker Inaki Williams surged into the area and prodded a strong strike from ten yards, but Ter Stegen somehow reacted quickly enough to stick out his right hand and then had enough strength in his wrist to repel the ball to safety. 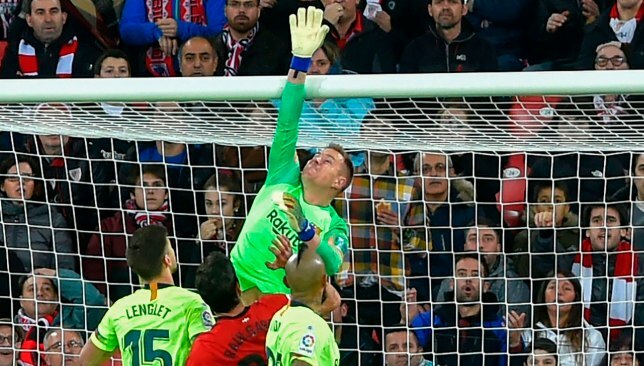 They were both superlative saves, and if Barca end up winning the title by a narrow margin his contribution to this point should not be forgotten. 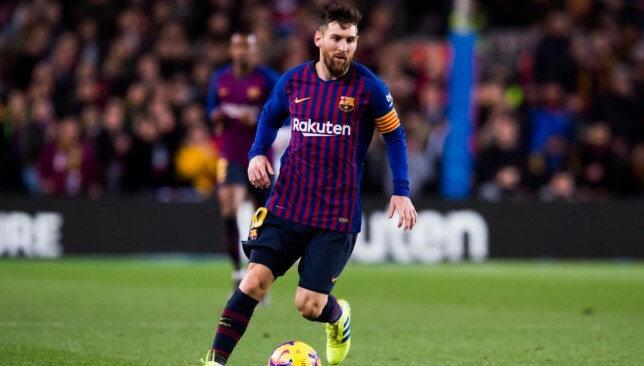 The state of Lionel Messi’s fitness dominated the pre-game discussions, and despite not being decisive on this occasion the Barca captain delivered his usual influential performance after eventually being passed fit to play. However, Messi’s attempts to orchestrate his team’s attacking efforts were hugely hindered by the absence of the two men who are – after the Argentine himself – arguably the most important players in terms of knitting the team together: Jordi Alba and Arthur. 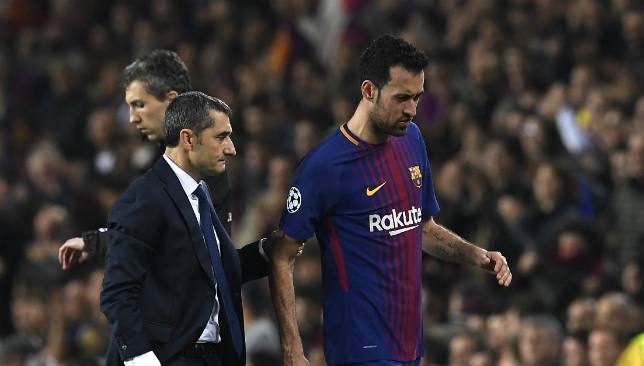 Left-back Jordi Alba was suspended for an accumulation of yellow cards, while Brazil midfielder Arthur has been ruled out for four weeks with a hamstring strain… and how they were missed. The lack of Alba’s penetrating runs down the wing removing one of Messi’s favourite targets, while the off-colour Arturo Vidal desperately struggled to match Arthur’s ability to keep the ball moving in the middle. With Alba and Arthur missing, head coach Ernesto Valverde would have done worse than starting with another member of the ‘A team’ – young midfielder Carles Alena, whose technical ability would surely help improve the team’s flow. That was exactly the move made by Valverde after the hour mark, and the 21-year-old did more than enough during his time on the pitch to suggest he should be considered for more starts during the absence of Arthur. The recent improvement effected by new Athletic manager Gaizka Garitano was very much confirmed by the home team’s vibrant performance, which suggests there is a lot more to come before the end of the season. Indeed, with La Liga looking remarkably competitive there’s every reason to believe the Basque club could surge a lot higher than their current 13th position – perhaps even as high as the Champions League places. Only 14 points separate Sevilla in fourth place and Rayo Vallecano in the relegation zone, and with 15 games still remaining there is plenty of room for serious movements up and down the table between now and May. Fourth spot appears to be really up for grabs, with current occupants Sevilla running out of gas as their demanding season continues and obvious candidates like Valencia and Real Betis showing frailties. Any team in the middle reaches of the table which can string together four or five wins would propel itself into contention for a top-four finish, and on this evidence that could well be Athletic.